Hiking books are one way to get it. You should turn to trusted authors when you need factual information such as how to prepare for a hike, and also for when you want an insider's view of the outdoors. And if you're just starting to explore the wondrous world of hiking, you need a mentor! A book can definitely act as a mentor. Or you can use a flesh and blood mentor who can suggest books as you progress along your hiking journey. OK, I admit it: I'm addicted to books. I can never pass by the door of a bookstore without "just a quick peek" for hiking books. If I'm not careful, hours go by and I emerge onto the sidewalk in a daze, dreaming of new destinations. So the question becomes, where to start? Here's a highly opinionated attempt to give you what I consider THE essential hiking books to begin building a reference library. They're sitting on my shelves, and have been lovingly dragged around and poured over on many a winter afternoon. As time permits, I'll add to the list and throw in a few personal favorites for very personal reasons (heads up: they might not resonate with you, but I'll do my best to explain why I think they're worth a look). 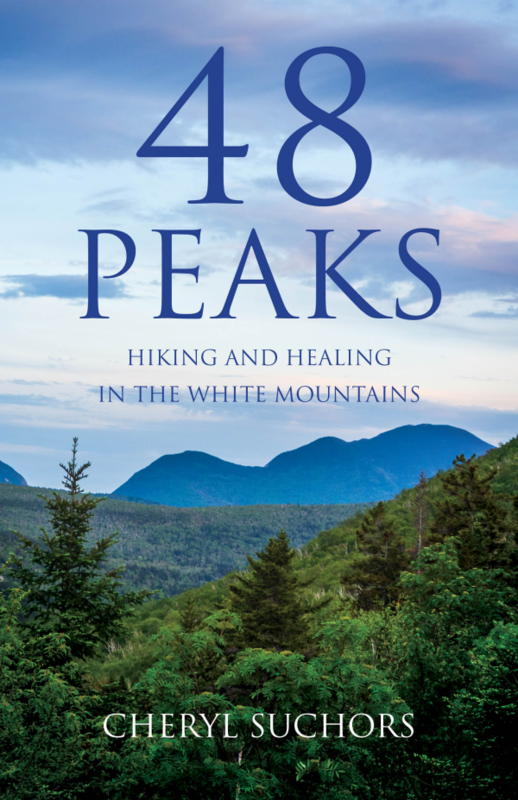 And if you're curious about the inspirational books which I recommended to a reader planning a 60th birthday hiking trip, check them out (ooh, a library hiking book pun!) here. There's a brand new edition of this classic (been around since 1960!! ), and it's one of the first books I recommend to hikers because it covers a lot of ground (if you pardon the hiking pun). What if you only hike where there's not a mountain in sight? Or if you have no intention of doing more than a day hike? Basic survival skills are emphasized, beginning with gear, food, navigation. If you're not into climbing, skim through to the last parts on emergency preparation and weather. Currently I'm doing a home study course on weather (to be a well prepared hiker), so I know that this book gives you what you will need to stay out of nasty temperature or precipitation related tight spots. Another good feature: it's not just one outdoor expert, it's dozens pooling their collective wisdom for your benefit. And it's not just anybody doing the writing, it's hearty, seasoned folks (sadly, not many women). This makes a great gift, too! That's how I came to own a copy. One more plug: it's from my very own corner of the world, the Pacific Northwest. You might be turned off by the focus on climbing. I admit that the parts on tying specific knots or rappelling are wasted on me. Also, it's huge (close to 600 pages) so it will take up a lot of room on your hiking books shelf. The newest edition at this time of writing is the 8th edition, but earlier editions are available for greatly reduced prices. Next up: Reader's Digest North American Wildlife. 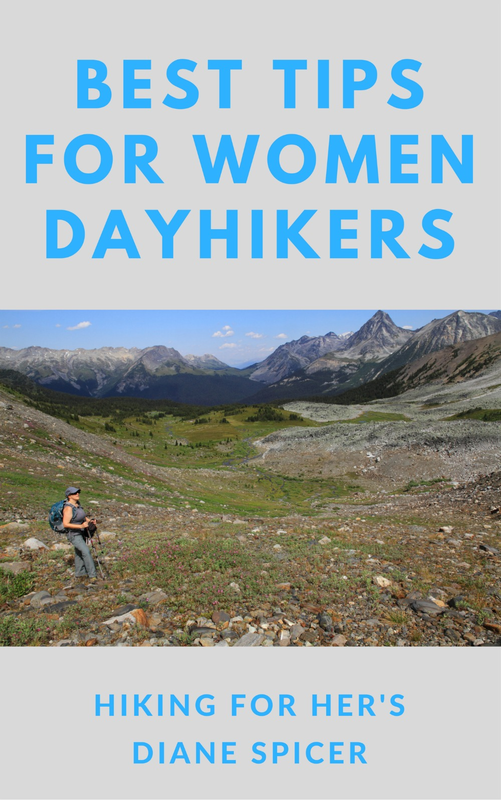 This is a general purpose book which covers the basics you'll need on a hike to slake your curiosity about what you're seeing along the trail. If you ever have gray winter days when you're longing to be outdoors but the weather or your schedule will not permit it, here's a strong dose of virtual outdoor time. I usually snuggle into a blanket on "my" end of the couch and crack open this book, allowing my mind to wander through descriptions, color drawings, and range maps of 2,000 plants, animals, and birds. I like to start with my own neck of the woods (Pacific NW), re-visit my childhood stomping grounds (upper MidWest), and then turn to areas of current interest (Northwest Territories, New Mexico). The hours roll by quite pleasantly, and my immersion in wildlife facts will pay off later when I'm actually on the trail. It's concise, giving enough detail on 2,000 animals, birds and plants so that I feel confident that I could easily make an identification out in the field. My fact-hungry left brain appreciates the little factoids about each species. The color drawings are beautiful, which pleases my right brain. I like how easy it is to compare what I see in my usual hiking areas with what's found across the North American continent. Sometimes I'm surprised and impressed by the wide range a plant or animal has. Hazels are widely distributed across the upper part of the continent - a huge distance, and testimony to the successful strategies of this life form - which produces tasty nuts for a survival situation. It's a seriously thick book, definitely not a field guide. It will take up some space on your bookshelf. One more thing: it's not much help if you don't live on the North American continent! But maybe you'll come visit us! There's too much to say about individual hiking books here, so check out my Top Ten List of recommended field guides here. You'll never have to wonder about the names of flowers, birds, rocks or mammals again! Mt. 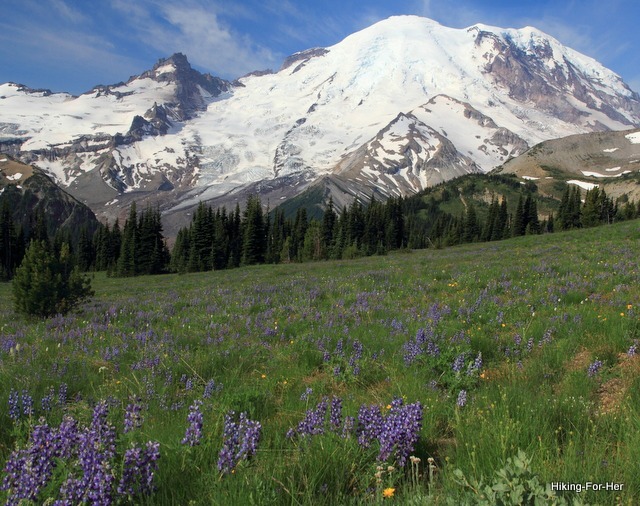 Rainier and fields of lupine - what a heavenly smell! Ever hear of Anne LaBastille? If not, it's my pleasure to introduce you to a mentor, a woman who coined the term Woodswoman and accomplished some amazing backwoods feats. While not technically a "hiker", she's a role model for every female who wants to go her own way in the outdoors. She has 3 more books of adventures, too! Her first book mentored me, and the rest satisfied some deep longing I feel when I'm in the woods. ... here's another "mentor" book I used, but a bit later in life, when spiritual matters gained importance. Ann Linnea planned and executed a solo kayak trip around Lake Superior which changed the trajectory of her life: her physical body, her marriage, her relationship with nature, basically everything that she felt kept her rooted in reality. I love this book because I grew up around Lake Superior, and learned as a teenager to backpack on Isle Royale - smack dab in the middle of that wild lake! So her descriptions of the "moods" of the water were heart wrenchingly accurate, and brought back a flood of memories. I also appreciated her honesty as she struggled during the trip. And her bravery after the trip! If you've been hiking for awhile, you know that it's hard to integrate back into "real" life after a long trip. Ann gives you a taste of that. Again, not technically a hiking story, but it's going to inspire you to hit the trail for solitude and wildness! The name is evocative of a life transition, don't you think? Helen Thayer is a woman who was doing heavy duty hiking very quietly, sometimes solo and sometimes with her husband, while I was learning hiking skills. I heard her speak at a National Geographic Live! event a few years back, and then discovered, completely by accident, that I was living within a half mile of her! If you love dogs AND hiking, you've got to read her book Three Among the Wolves: A Couple and their Dog Live a Year with Wolves in the Wild. I was privileged enough to hear her tell this tale while she showed photographs of her beloved dog Charlie. I immediately bought the book (in the lobby right after the talk! ), and love flipping through it when I have a few moments. Helen went on to write about her Gobi Desert trek, and a dogsled journey (talk about environmental extremes)! She's one tough lady, and one of my favorite mental mentors, for sure! Speaking of feisty trail women sharing everything in hiking books, here's a great title for you: We're in the Mountains, Not Over the Hill: Tales and Tips from Seasoned Women Backpackers by Susan Alcorn. Prepare to be challenged by these stories, because the underlying theme is "if WE can get this done, why can't you??" If you're a solo hiker but sometimes long to belong to a pack, read this book. Its camaraderie will warm your spirit. If you've got young hikers (or curious kids) in your life, share When Grandma Gatewood Took A Hike with them. It will inspire everyone to tackle a challenge. 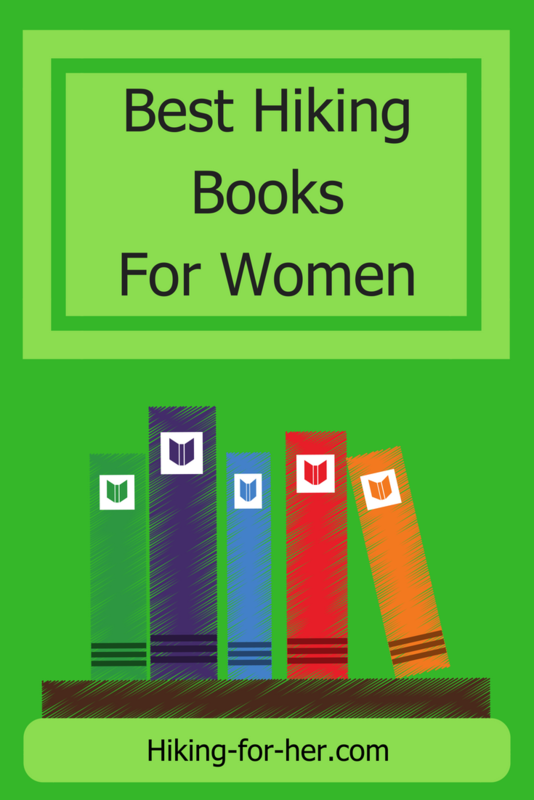 There are lots and lots of books written by women who have hiked the Appalachian Trail and/or the Pacific Crest Trail end-to-end. But a book by a woman who completed the Continental Divide Trail? A bit more elusive. Read my review of Married to the Trail by Mary Moynihan here. And my review of an Ice Age Trail thruhiker's adventures right here. Give this book a read if you want to know what it's really like to tackle one of the toughest long trails anywhere on the planet, and to do it by yourself. That's what Cheryl Suchors did, with her quest to hike to the top of all 48 peaks over 4K feet in the White Mountains (eastern U.S.). I won't spoil the fun of telling you how long she kept going after her goal, or the pitfalls and setbacks she experienced along the way, or the turmoils and triumphs with her trail buddies ... because that's more than half the true story. So if you need inspiration along the lines of determination and never giving up, give 48 Peaks a read. Sometimes a woman just needs a few ideas for spicing up her routine in the outdoors. Read my review of 1001 Ways to Live Wild, and see if you need a copy! The artwork is lovely and might inspire you to do more hiking, and to pick up a brush and some water colors to document your hikes. It's available in paperback as well as e-version. Read Hiking For Her's review of Jeffrey J. Doran's Ramble On: A History of Hiking. It's fact filled but not dry! And the photos and illustrations are fascinating. Check back for updates as I add to my book list. I'm a voracious reader, and I promise to share only the best hiking books (and outdoor related themes) with you. Hey! Why not drop me a line - I'd love to hear your reactions to these books for hikers. Suggestions for this page of hiking books, also much appreciated. 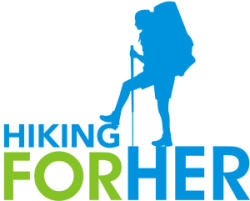 Your purchase of a hiking book through some of the above links will result in a small amount of money sent to Hiking For Her, with no additional cost to you. It's a way HFH can pay the bills to keep the best hiking tips flowing your way. Thank you very much for using these links!